Current wrist wearables. Image courtesy of Intel Free Press. Google wants to diagnose cancer and stop impending heart attacks by using nanotechnology and a wearable. The band, which is being designed by the infamous Google X lab, was announced last October but has renewed interest after an interview with The Atlantic. In the interview, Google admitted to using human skin to test the nanotechnology. So how exactly does it work? The patient swallows a pill that contains magnetic, disease-detecting nanoparticles and then wears a sensor on their wrist. Ideally, the nanoparticles will be able to detect even slight changes in biochemistry and alert the user, helping to stop diseases like cancer in its tracks. Don’t expect this feature to be included in the Apple Watch any time soon though. According to release from MIT Technology Review, the technology “is basically ‘a good Star Trek episode. '” Yikes. Google is going to have to figure out how to get the nanoparticles into the bloodstream, find their targets, and then collect the data (which is where the wearable that will be worn near easily accessible veins comes in). Luckily, Google has the funding to hopefully make this happen, and if their watch is a smash hit, maybe the incentive, too. Do you think Google’s band is possible? SHARE your thoughts below and on social channels. Like this article? 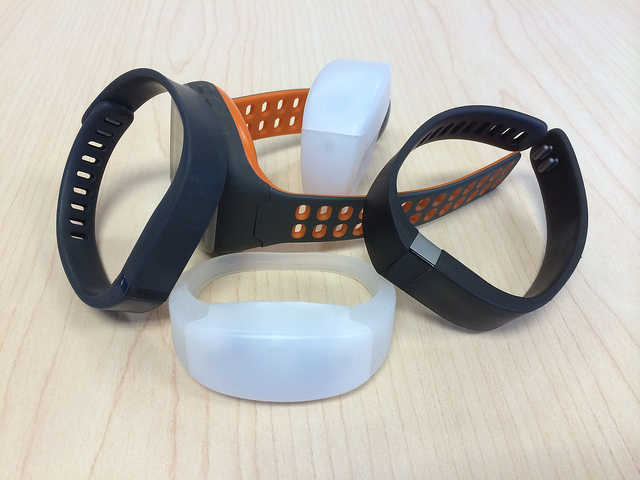 Follow this blog and then check out a wearable to keep you safe in the sun. Why manage your own social life when an app can do it for you?